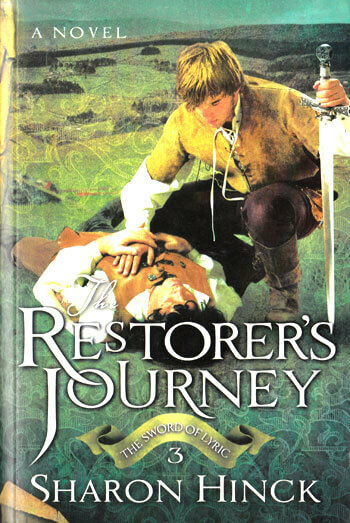 Restorer’s Journey concludes (to my knowledge) the Sword of Lyric series, by Sharon Hinck. If a series is to be judged by its last book, where the action converges into one high point, then the Sword of Lyric series is pretty good, with a good bit of action and interesting premise. Still, it’s not an enduring classic, largely because of the quality of writing. Jake is back in Lyric, ready to rescue his mother from the clutches of Cameron. But when the portal messes up and his father doesn’t come through with him, Jake is alone in Lyric. He fights to discover the truth about what has happened to his mother in a world where the Guardians have been abolished and a single king has been declared. Jake will join all of the cast of the previous two books to save Lyric from its gravest danger yet. As far as upping the ante is concerned Restorer’s Journey does just that. This is the biggest trouble in Lyric yet, and the cards could not be stacked further against our protagonists. But the book is still plagued with only fair to good characters. Jake has improved from book 2, but his thoughts and prayers to God still come across as preachy – it’s really hard to pull that off well in a book. Still, overall the writing isn’t bad, and the great premise for the plot helps somewhat to gloss over the forgettable characters. 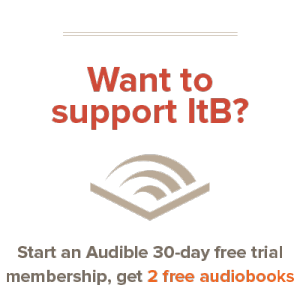 At any rate, the book is at least as good as its two predecessors, and combined the three make a good series that’s worth reading if you have the time.